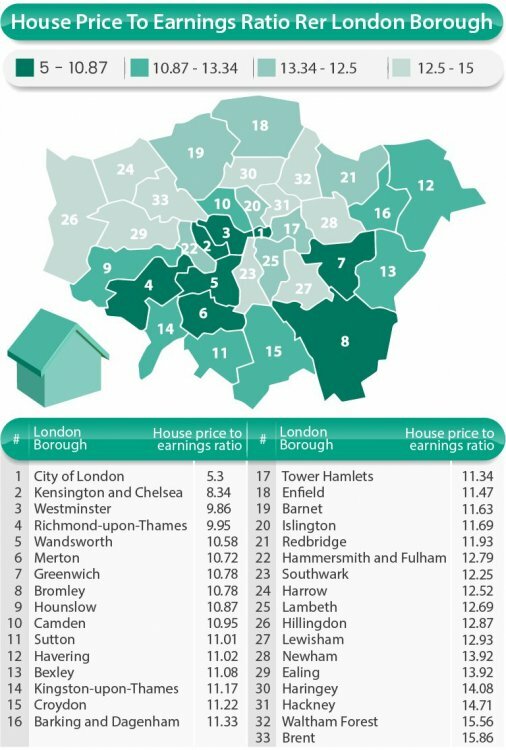 Why is this Bloomberg analysis showing London prices increasing? Kensington and Chelsea up 20%? Yes, that doesn't seem to accord to other recent analyses. Their transaction numbers are consistent with other reports though, showing a significant fall over the last two years. My interpretation is that because they are using the median average the underlying cause is possibly because the number of lower value properties has increased or the number of higher value properties has decreased shifting the median. However as we have seen the number of properties sold drop, my expectation is that it is the high end taking a beating resulting in a greater volume of lower end properties being sold. I.e. prices going up and total volume going down actually meansAVG price is coming down. Sadly salaries are not... plus all the news is filled with imagination with partial facts. Quite possibly one +£50m sale has shifted the average. Also worth remembering that in a slow market only the best properties sell, again boosting the average price. ... would we all agree the London volumes ramped up and then fell of a cliff edge after the BTL tax changes (followed by Brexit vote) - the stats are agreeing with that. I sense that those people would be have been suckered into a trap of escalating prices with a tax deadline to create urgency, and then off a cliff edge. Maybe they will be offloading in the near future as interest rates/tax changes start to bite. If the bite is acute, hoping the same stampede out of London housing which will mean it will dip below its market value with an over correction at some point for a period of time. The point in the last posts I was trying to make was that unless true transactions volumes hit a reasonable amount - you have no idea what the value of the trade-able commodity in that market is really worth (in this cases houses). I don't know what that magic volume number is - if I did, I would keep on eye on that, and then we would know that the average pricing is now more reflective of the reality.